The Roseville Visitors Association is an excellent resource when planning a tour to Minneapolis and St. Paul. Our professional and experienced staff can help customize tour itineraries, research hotel availability and rates, recommend group friendly restaurants, host site inspections, arrange meet and greet receptions (free rose for every traveler on a motorcoach) and most of all, alleviate time for you. Receive your free Roseville Group Tour Planner by downloading it or to receive complimentary group planning assistance, and to get a guide mailed to you, contact Shannon Thomasser at sthomasser@visitroseville.com or (877) 980-3002. Upon your arrival in the Twin Cities, arrive at the Textile Center, America’s national center for fiber art. Learn the histories of textile techniques and discover a hands-on experiences of Shibori Dyeing (Japanese dyeing technique) or Felting Fun. Next, head over to Bent Brewstillery, the only Distillery & Brewery in Minnesota! You’ll sample beer and spirits right in Roseville. After your tasting, you’ll check into your Roseville hotel and freshen up for tonight’s activities. Tonight, journey back to your childhood at Skyrock Farm. Skyrock Farm offers historical tours of several different band organs from across Europe. See the restoration process; learn about the process of gold leafing and how the 100 year old art is preserved. Discover the artists who cared the ornate carousel figures and their place in history. After dinner, you’ll enjoy a horse jumping demonstration at the Farm. After your tour, head back to your Roseville hotel. Enjoy breakfast at the hotel and depart to FOCI Minnesota Center for Glass Arts for an experience like no other. Join a professional glass artist at FOCI to discover the basic glass blowing techniques to create a one of a kind take-way piece of glass or watch an informative demonstration. After your experience at FOCI, you’ll head to Surly Brewery for a tour. Surly Brewery’s new $30 million facility will leave you in amazement as you sample a variety of beers and enjoy lunch in the their beer hall. Soak in the sights after your Surly Brewery tour at Mill City Museum. You’ll learn how the Washburn A Mill was once the world’s largest flour mill and learn about the flour industry, the river and city of Minneapolis. Tonight, after dinner in Roseville, you’ll become a star during Brave New Workshop and experience an evening of an Improv workshop. The Brave New Workshop is the oldest comedy theater in the US and is world renowned for their improvisation session. 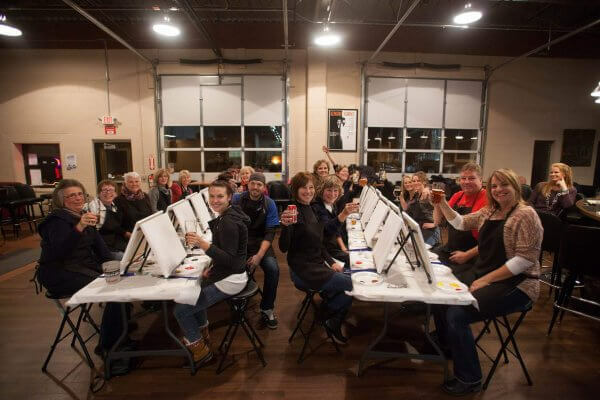 have fun with your group and embrace your creative spirit! Enjoy breakfast at your hotel and check-out. Next, have a theater arts experience you’ll never forget. Your group will head over to the Guthrie Theater and learn the Art of Stage Combat. Learn choreography techniques that actors learn without getting hurt. Afterwards, you’ll journey home and take back wonderful memories of your Arts, Crafts and Drafts adventure in the Twin Cities. Upon your arrival, visit Historic Fort Snelling and go behind the scenes at the state archaeology lab to meet an archaeologist to see and handle some of the original treasure unearthed at Fort Snelling, one of the largest excavations of a military outpost in North America. After your tour, depart for your Roseville Hotel. This evening, enjoy a theater performance at one of our popular theater venues, including the Chanhassen Dinner Theaters, Hennepin Avenue Theatre District or the Ordway Center for Performing Arts. Enjoy breakfast at your hotel and than get a jump start on your day at Como Zoo, where you’ll experience up-close animal encounters with a chance to feed a giraffe or prepare food for polar bears. 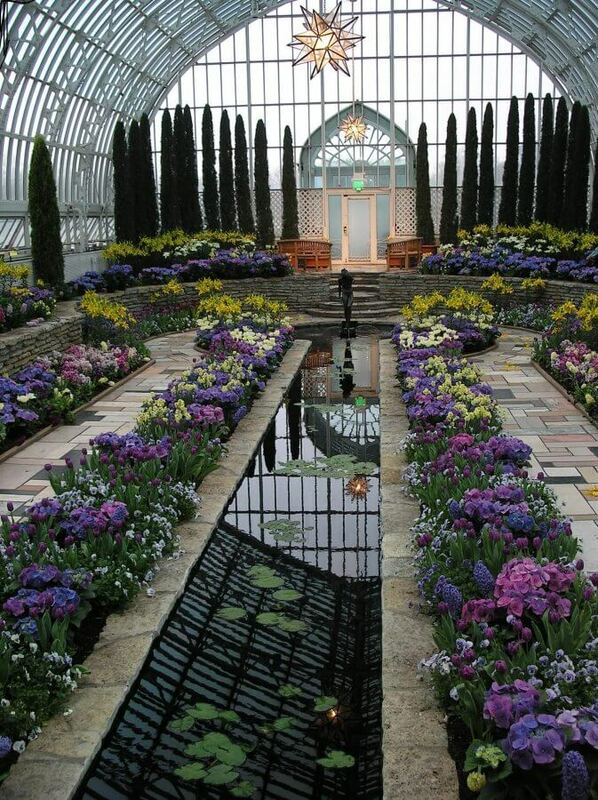 Afterwards, see the flowers in bloom at the Marjorie McNeely Conservatory. Travel through the many gardens as you explore this historic treasure. Afterwards, enjoy lunch at Como Dockside on beautiful Como Lake. 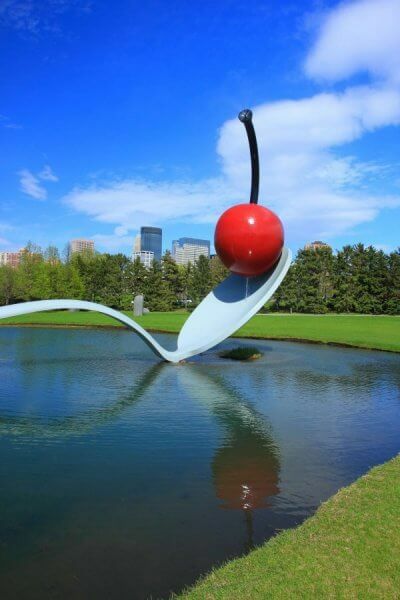 This afternoon, put a spring in your step as you take a walking tour of the Minneapolis Sculpture Garden which includes the iconic Spoonbridge and Cherry and showcased more than 40 works from the Walker Art Center’s renowned collection. Take in a view and discover what Minnesota is really about, the Mississippi River. Explore the Mill City Museum where you’ll get breathtaking views of the Saint Anthony Fall’s, the only waterfall on the Mississippi River and discover how Minneapolis became the flour milling capital back in the 1800’s. This evening, enjoy a global experience at Midtown Global Market. The experience of vibrant shops and farmers’ markets year-round. Discover the freshest produce, fish and meats in town. Tamales and tabouli, bread and chocolate, produce, art and more. Enjoy breakfast at your hotel and check-out. Before you head home, enjoy the beauty of the Minnesota Landscape Arboretum featuring annual and perennial display gardens, collections of plants for Northern climates, natural and native areas. After your tour, you’ll depart for home. Start your crisp fall adventure with a boat excursion aboard the Padelford Riverboats . Enjoy the magnificent fall colors as you journey on the timeless splendor of the mighty Mississippi River. 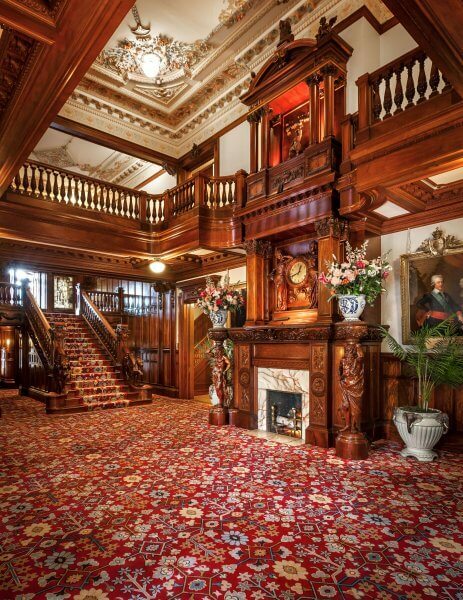 Debark the Padelford and head to Roseville to check into your hotel. This evening, enjoy a true culinary experience at Cooks of Crocus Hill on Grand Avenue. You’ll create an unforgettable meal with direction form one of their professional chefs. Truly a treat for all! After breakfast at the hotel, head to Saint Paul and find out when Saint Paul was “rotten to the core” during the Saint Paul Gangster Tour . Your step-on guide will take you past the most infamous gangster hideouts and famous nightclubs. Afterwards, enjoy lunch at the Wabasha Street Caves , which used to be an underground nightclub in 1933 called the ‘Castle’. After lunch, depart for Pine Tree Apple Orchard in White Bear Lake. The Jacobson Family welcomes you to their orchard where they grow 25 different varieties of apples. During your visit, you’ll enjoy a behind-the-scenes look at a working orchard and then take a scenic wagon ride through the orchard. After your tour, it’s time to kick back and have a beer at Big Wood Brewery . Take a behind-the-scenes tour of this unique and woodies tap room. After your tour, discover the unique shops of downtown White Bear Lake. This evening, enjoy a theater performance at one of our popular theater venues, including Hennepin Theatre District or the Ordway Center for the Performing Arts . Enjoy breakfast at the hotel and check-out. Next, depart for the Minnesota Renaissance Festival , one of largest renaissance festivals in the United States. Journey back to the fictional 16th Century and enjoy a feast with kings, a royal joust or an abundance of activities to choose from. After your full day at the Minnesota Renaissance Festival, head home with wonderful memories of your fall adventure.